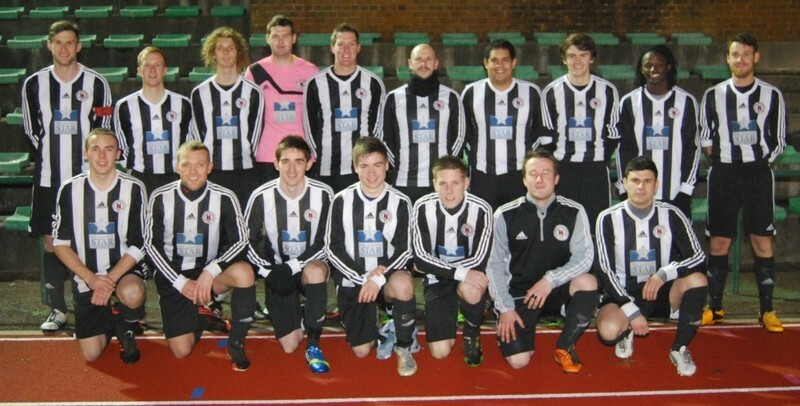 Upper Annandale finally broke their cup final hoodoo when they lifted the John Pagan & Son League Cup defeating Maxwelltown Thistle 2-0 at the David Keswick Centre on Friday night. Uppers came into the match undefeated so far this season but also had the unenviable record of losing their previous ten finals so there was always the possibility of an upset. Uppers started the first half quickly and had Maxwelltown on the back foot from the outset. Max defended fairly deep and as a result Uppers held most of the territorial advantage and kept Max pinned in their own half for long periods. Max defended well though and when their defenders didn’t get the job done veteran keeper Duncan Purdie was on hand to deny the Uppers attack, pulling off several excellent saves. Uppers keeper Ian Jardine on the other hand had little to do as the Moffat side gave Thistle very little time on the ball snapping into challenges and generally denying Max any chance to settle. Maxwelltown were weakened after 15 minutes when one of their key defenders Stuart Wight had to be substituted after a clash of heads saw him head for the hospital. Max reshuffled their defence and it was during this period that Uppers took the lead. A neat ball was threaded through by Neil Roddick to Stafan Jackson who held off the challenge of Bruce McQuarrie to fire home from12 yardsout. Max re-organised but Uppers kept the pressure on and the match returned to it’s previous pattern with the Moffat side on the front foot and Max defending. The Uppers midfield led by Grant Watson were too good for Max but couldn’t turn their superiority into more goals and the halftime whistle came with Max still in the game. The second half started much the same as the first with Uppers in the ascendency and keeper Purdie had to come to Maxwelltown’s rescue again with another couple of top class saves, the first from Neil Roddick and the second from Ryan Johnstone. It was always going to be hard for Uppers to maintain their intensity for the full ninety minutes and Max gradually got on top and for a thirty minute period in the second half took the game to Uppers. Ross Halliday had the ball in the net twice but both goals were chalked off for offside, the first being a very close call. An unmarked Paul Trainor should have levelled the scores on the hour when he headed a cross from Scott Learmont over from10 yardsout. Uppers wrapped it up with a fortuitous second goal with 8 minutes left. On a rare attack the ball was put into the box and Max defender Paul Dickson got the ball first but unfortunately his clearance hit fellow defender Alex Bedford and the ball came off his knee and looped over keeper Purdie’s head into the net. The final minutes were evenly contested but there was no further scoring and when the final whistle came the Moffat side had finally broke their cup final jinx. This was a well contested match which was played in a sporting manner and was well officiated by referee Finlay Currie and his assistants Davie Laurie and Ian Brack. 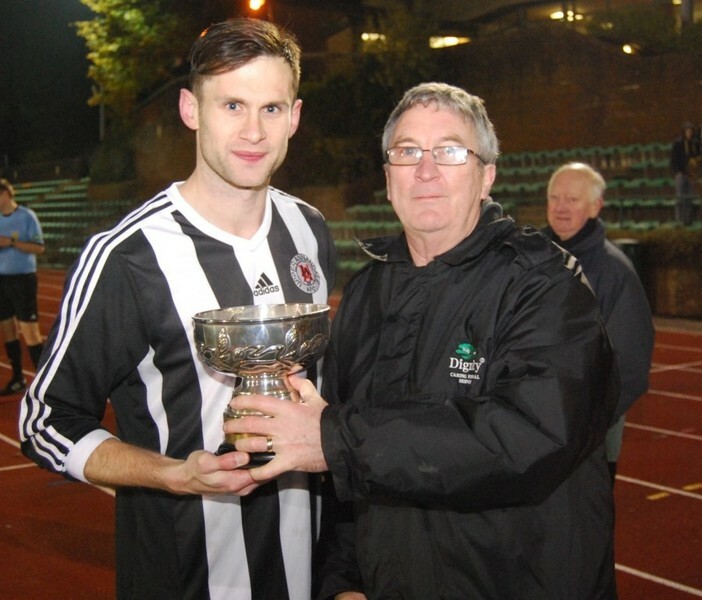 After the match the cup was presented to Uppers captain Ross Dawson by Kenny Hope who was representing sponsor John Pagan & Son. 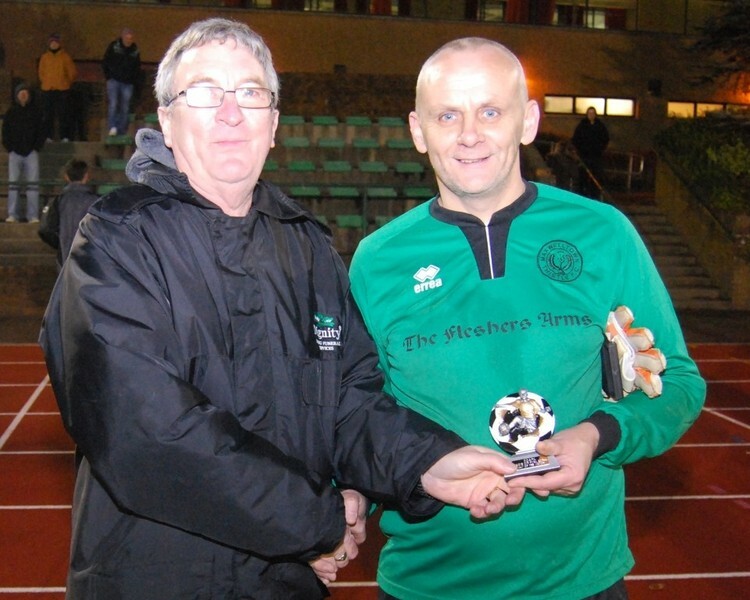 Maxwelltown keeper Duncan Purdie picked up the Man of the Match award. The league would like to thank sponsor John Pagan & Son for their continued support and the staff at the David Keswick centre for their help on the night.